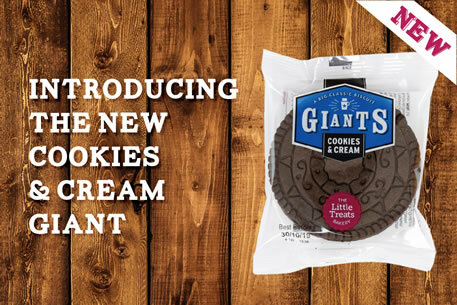 To enhance our range of snacks-to-go, we have launched a selection of GIANT sweet treats from The Little Treats Bakery. 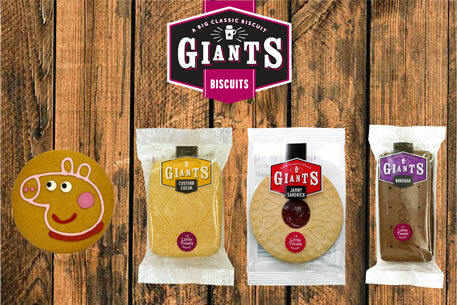 Check out these firm family favourites - Bourbons, Jammy Biscuits and Custard Creams, but in GIANT size! For younger customers we have the hugely popular Peppa Pig, individually wrapped gingerbread biscuits. These are ideal till side treats to grab and go or stay and play! 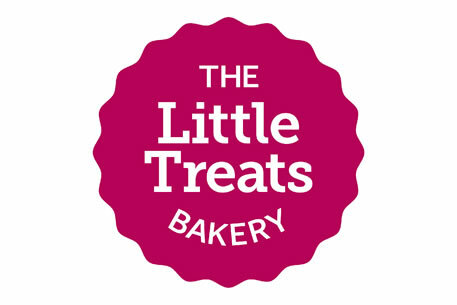 The Little Treats Bakery range of biscuits will give your customers an alternative choice to the standard cake range and will deliver a touch of childhood nostalgia. Dare you dip a giant biscuit?